Everyone likes to save money where they can—and saving money on your monthly cooling bill is no exception. It’s nice to come home to an airconditioned home. What isn’t nice, is the gut punch you get each month when the electric bill arrives. This is why the experts at JM Heating and Cooling wanted to take some time to outline some of our favorite life hacks that can help save you some cash. We understand this is a blog post about saving money, so remember, “maintenance” doesn’t have to be a bad word. In some cases, maintenance is as simple as checking your HVAC’s air filter on a monthly basis to make sure it doesn’t need to be replaced. Did you know that if your filter is dirty, this could lead to a 5% and 15% increase on your monthly cooling bill? We understand that your children like to set the thermostat to a setting that would be compatible keeping penguins in your living room. You understand that the cost to cool your home at that temperature is substantial. If you’re able to come to a compromise, experts recommend that you set your thermostat at 75 degrees or higher. Why? Because this can help you save between 10% and 15% each month on your electric bill. 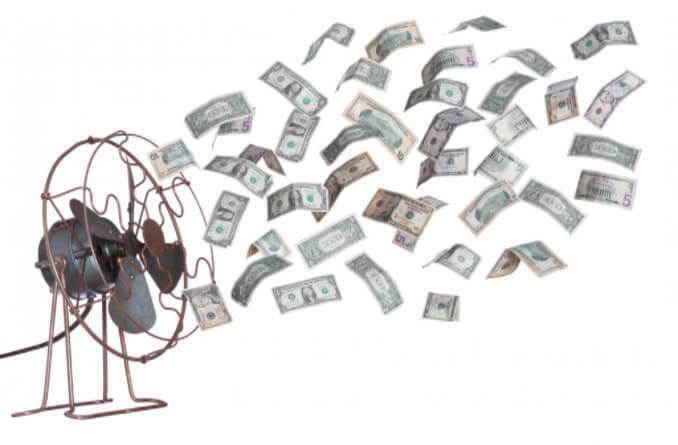 Ceiling fans cost far less to operate than a central air conditioning unit. Most homeowners find that they can keep their thermostat set to a higher setting when they install one or more ceiling fans throughout their home. Yes, this means incurring an expense on the front end, but it can help you save a lot of money in the long run. It’s believed that when you install ceiling fans, you could reduce your AC usage by as much as 40%. If your current HVAC system is a dinosaur, it’s going to cost a lot more to run than a newer model. Technology changes so fast these days, and each year, HVAC systems are becoming increasingly advanced. One of the most noticeable advancements relates to the cost to run the AC. Why? Because new technology costs less to operate. If you’re wondering if you could benefit from upgrading your current HVAC system, call JM Heating & Air today to schedule a consult. Remember, fact finding does not entail a commitment! If you decide it makes sense to move forward with an upgrade, we’ll be happy to help. On the other hand, if you decide you want to hold onto what you have for a few more years, that’s OK too! For more information on how to save money on your cooling bill, or for more information on the types of regular maintenance that can help ease the pain caused by your monthly cooling bills, call our office today at 303-906-9541 to get started. Call today to learn why we’re the most trusted HVAC repair company in Longmont and its surrounding areas.